Why should moms have all the fun? Dads want to take baby out for the day too. If you’re planning to escape the house with your little one, have you got their transport covered? A stroller or buggy isn’t always convenient, especially at weekends when the sidewalk is already crowded. An alternative is a baby carrier, which also keeps you closer to your baby. Although many baby carriers are designed for both men and women, some have features us men appreciate more. I would love a baby carrier if it was just a little less “mom” and made more with dad in mind. 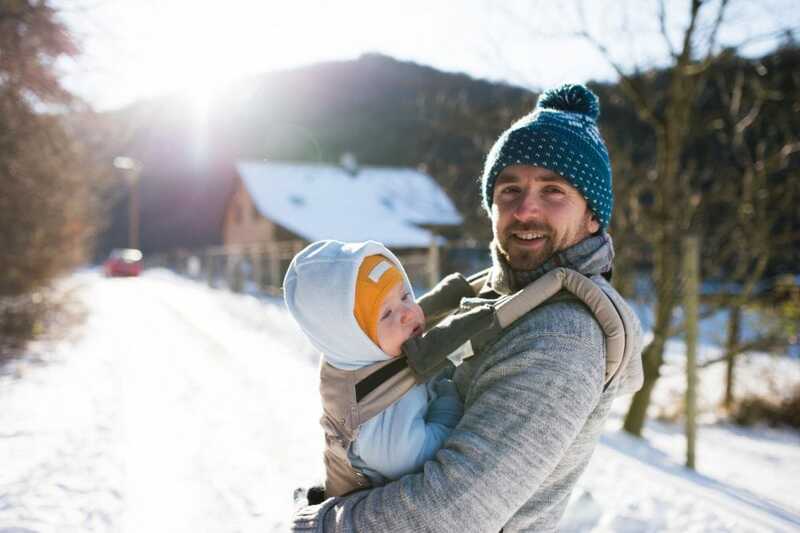 To show you how “babywearing” can totally be a man thing, we’ve taken a look at some of the best carriers for dads — rated by dads. Use the links above to check the latest prices or read our in-depth dad baby carrier reviews below. Why Should Dad Use a Baby Carrier? Which is the Daddy of Baby Carriers? In the past, when asked what the best baby carrier is, many men would have joked “Mom.” Fortunately, us modern dads realize the value of spending time with our new babies. The smash hit movie, “The Hangover” introduced a whole new generation of dads to babywearing. Sales of baby carriers for men have increased dramatically since Zach Galifianakis carried baby Carlos around in a carrier. If dufus Alan can be trusted with a baby, surely we can too. A baby carrier can offer many benefits for a day out with your mini human. Referred to as a stroller, ironically the last thing you seem to do is stroll. I usually spend more time making space in the trunk and trying to set the thing up. If you do have wheels in tow, getting around could take more planning than you bargained for. You’re destined to take the elevator and not the stairs, or you’re forever trying to find stroller-friendly routes. Not having a stroller means you could go places typically deemed out of bounds. Baby can now go offroad with you on that Sunday morning hiking trail. A trip to the zoo might not mean walking at a snail’s pace as you navigate that chair through the masses. Once you become a parent, multitasking is one skill you become an expert in, and sometimes you only have one hand to get things done. Using a baby carrier could make your infant juggling act run a lot smoother — you have the use of both your hands. You can comfort your baby in the carrier and help prepare dinner at the same time. If mom wants to go fetch groceries but you need to clear up the backyard before it rains, you can still keep baby close while you tend to your garden. If you take baby out for a drive, chances are they’ll fall asleep during the journey. This is all thanks to the relaxing effects of motion. Should you decide to pop your kid in a carrier and walk around, you may discover a similar effect. The walking action and being able to hear your heartbeat naturally chills babies out. As a dad, the biggest upside for me is the valuable bonding time I get with my little guy. That feeling of closeness between us both is something else. Even experts agree it can promote better parent/child relationships (source). It’s simple: we want something which suits our needs better. Something a bit less pink, and also more suitable for our different body shapes. Padded straps or adjustable waist belts work better for daddy sizes, depending on the type of carrier you choose. Wrap: This popular style consists of a long piece of stretchy fabric that wraps around you both. The loose ends are tied to create a secure resting place for the baby. Sling: These can either be ring slings or a pouch sling. Both types go over your shoulder, although a tube of fabric is used for pouch slings, which already has built-in pockets. Rings on a ring sling are attached near the shoulder for easy adjustment. Mei-Tai: A hybrid of wrap and soft structured carriers; four straps attach to a rectangular piece of fabric. Straps are tied around your arms for adjustment, although some have a waistband too. 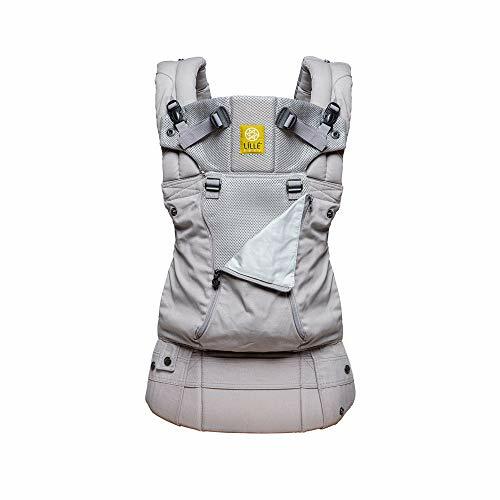 Soft structured carrier: These are much easier, with buckles on the straps and waistband, adjustable for a comfortable and secure fit. Made of fabric, they include more support for the baby, with their legs usually straddled around your waist. 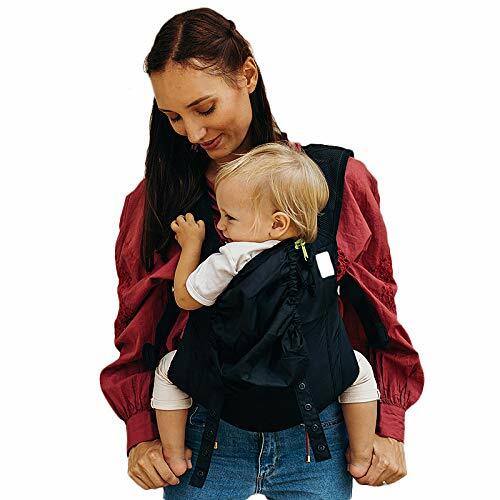 Frame-based carrier: More like a backpack, these carriers are ideal for wearing older babies or toddlers for longer periods of time. A lightweight frame can offer more support to your back, which is perfect as your baby gets larger and heavier. Sling fabrics or Mei-Tais can be popular with moms, but are often too fiddly for us dads. Instead, we prefer something more solid and straightforward, like a backpack style or front wearing, soft structured carrier. Regardless of gender, one area that should always be considered is safety. In the 1990s, concern was expressed that the increasing use of baby carriers was damaging babies’ hips, causing conditions like hip dysplasia or spondylolisthesis (source). Allowing the legs to form an “M” shape, or frog style, is now the recommended position for your child, and the best baby carriers should simulate this. Many are now acknowledged by the International Hip Dysplasia Institute as providing proper support for your baby’s legs and hips (source). With so many available, how do you know which will be the best? You could just look for pictures of carriers that show a man wearing them. However, we’ve looked more closely into the features which matter most to dads. Ignoring the pink or floral options, here are our top candidates. It’s a sad fact of life that your baby is going to grow up, and how fast it happens is the scary part. This baby carrier from Babybjörn has been devised to adapt with your baby up to the age of three years. The Baby Carrier One is designed to fit your baby right from birth, with no booster insert needed. An adjustable firm head support ensures secure and proper placement of the baby’s head and neck. As your child gets older, the height of the carrier can be lowered and baby carried either facing toward you or outwards. Extra-padded shoulder straps make carrying more comfortable for dad, too. The waist belt is stable enough to relieve pressure and efficiently distribute the weight of baby. 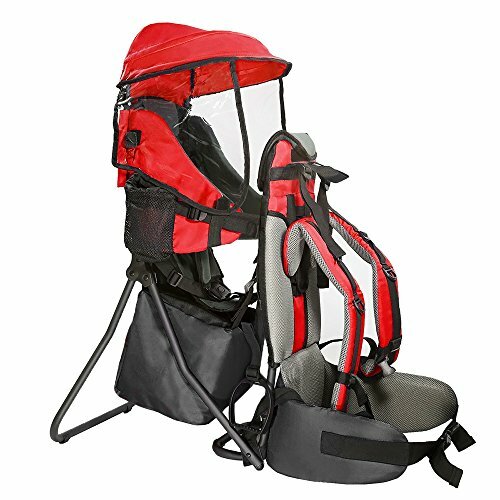 4-way front and back carrying for babies of all ages. A hip-healthy baby carrier, as tested by the International Hip Dysplasia Institute. Adjustable height features and zippers. Choice of 15 stylish, and not too “girly” colors. Sometimes the zippers may open when the carrier is in use. Dads with smaller frames could struggle with this, relatively large, carrier. The first time I held my baby in a carrier, I was constantly panicking about their position and stressing whether they were supported correctly. The Ergobaby is touted as a carrier that is “newborn ready” and doesn’t require a separate infant insert for infants weighing 7 to 12 pounds. A bucket seat design is easy for even the most awkward of dads to load up little one. The seat also allows for baby to be placed facing you when sleeping, or looking outwards as they grow and become more curious. Wide shoulder straps won’t twist or dig into broader shoulders and can be worn crossed, or backpack-style if preferred. The waist belt will accommodate larger waists and can be worn in a low or high position for maximum comfort. Adjustable bucket seat supports the baby’s legs in an ergonomic natural “M” shape, in all carry positions. Custom fit. Will fit multiple wearers, with a waist belt that adjusts from 26-52 inches and shoulder straps from 28-46 inches. UPF 50+ tuckaway hood, for sun and wind protection for your baby. 100 percent cotton and machine washable. Velcro fastenings and clips can be time consuming to close. The carrier may be difficult to put on without help from someone else. Maybe it’s just a man thing, but I always found the how-to videos of wrap-style carriers too complicated. I seemed to be left struggling to untangle miles of fabric and would eventually give up on the idea. The Baby K’Tan Active addresses this manly malfunction by using a double loop design, which slips on just like a T-shirt. This baby carrier is also sized like clothing with a measurement guide for XS-XL, according to both women and men’s builds. The K’Tan distributes the weight across your back and shoulders, with an adjustable band providing optimal support. A soft head support for your baby is included, with ergonomic positions for their development. With this carrier, dads who like to be outdoors and active can continue their pursuits, even if baby has to join in. It’s made with breathable performance fabric which won’t absorb moisture or sweat, and also ensures UV rays don’t penetrate. Helps you to bond with your baby. Suitable for newborns from 8 pounds, up to 35-pound babies. Ability to choose wrap based on a T-shirt size ensures proper fit. Breathable, quick dry fabric provides temperature control for dad and baby. Size-specific means you and your partner can’t share unless you have a similar build. Logo patches sewn into the fabric can be itchy and irritating for babies. Spending a day with baby doesn’t always involve just going to the mall. Sometimes I want to get out in the open air with my new little best buddy. This Onya Outback is like the Jeep Wrangler of carriers, with a rugged appearance. The fabric repels both moisture and mud, perfect for those weekend treks. A 100 percent ripstop nylon body and mesh lining is suitable for all climates. A tuck-away sleeping hood with UPF 50+ protects from the sun or rain. What I really like about this carrier is the added versatility of an integrated chair. When you want to stop for a cup of hot joe with your fellow dads, simply strap it to the back of any seat for an instant high chair. Long shoulder straps which are adjustable and well padded. A wide and supportive waist strap. Large double entry, side-zippered pocket. Baby can be carried on your back, front or side. Supports up to 45 pounds — making it suitable for toddlers. Better suited for larger babies; babies up to 15 pounds will need a separate “baby booster” insert. Rocking the “baby” look can be very attractive for dads. I get more attention — totally unwanted of course — from women, when I have my little one in tow. It almost makes me wonder why I didn’t realize the pulling potential of baby carriers earlier. Only joking, dearest wife! For younger, single dads out there, this figure-hugging baby carrier comes in a choice of 22 stylish colors. You’ll be the best-dressed baby and dad combo in town! We’re not just rating this carrier for its looks, it also has many useful features for comfort and safety. Six carrying positions offer 360-degree versatility, with a headrest and hood for more protection. Lumbar support and a strong waist belt ensure the carrier fits daddy comfortably too. The LÍLLÉbaby carrier features a temperature regulation panel, which zips up for warmth or reveals a cool 3D breathable mesh. The carrier is both lightweight and designed to be used all year round, or is equally suitable for indoor babywearing. A stylish baby carrier in a wide choice of colors. All-in-one carrier that allows you to decide how to carry your baby. 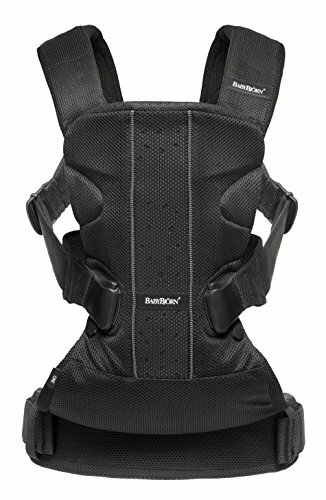 Adjustable back panel adapts to your growing baby. Some color choices can cost significantly more than others. Corners may dig into your baby’s legs if not positioned correctly. Sometimes you might need a just-in-case carrier. One you can store in your car trunk or office desk, for those unexpected daddy daycare days. This one from Boba Inc. folds up into its own pocket hood for easy storage and is super lightweight. If you’re like me and have to wrestle your baby into the carrier every time you use it, this might be a good option. The Boba Air is frameless and made of a stretchy material which makes it easy to fit baby into. Padded leg openings and a deeper seat offer an ergonomic ride for your baby, and the mesh fabric helps air flow and prevents overheating. 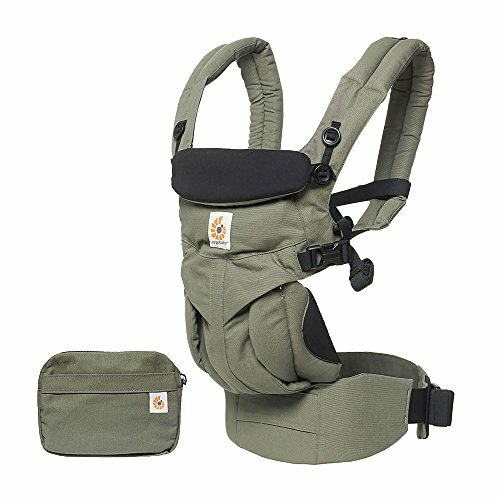 With an adjustable waistband that goes up to 58 inches, this carrier should fit most dads. The chest strap can also be adjusted for a close fit. Folds down into its own pocket for storage. Attached sleeping hood provides shade or protection from the weather. Lightweight material with a mesh for temperature control. Padded leg holes for extra comfort. Not suitable for newborns; carries babies from 15 to 45 pounds. Carrier can only be worn in one position, on your front, head facing towards you. Hood and pocket prevent the baby facing outwards. Mesh padded shoulder straps are thin for extra portability, but they can cut into your shoulders after a while when carrying a heavier baby. If the last one was the Jeep Wrangler, then this carrier/backpack combo is definitely the Land Rover Defender of carriers. There are very few other products on the market like it — a baby carrier and hiking accessory duo you never knew you needed. As they get older, babies will, naturally, get heavier too. Mommy often prefers daddy with his larger muscles to carry baby on days out. The padded straps are wide enough to cope with the extra baby weight, without digging in. A hip belt with energy-absorbing lumbar padding ensures you and your passenger are cool, comfortable and secure. If you should tire, the metal frame can stand up by itself on a flat surface, to give you a well-deserved break. For more rugged adventures, the fabric is both durable and weatherproof. An optional rain and sun canopy can help keep baby dry and shaded. As your baby gets more interested in the outside world, they’ll love the chair position which allows them to look over daddy’s shoulders. 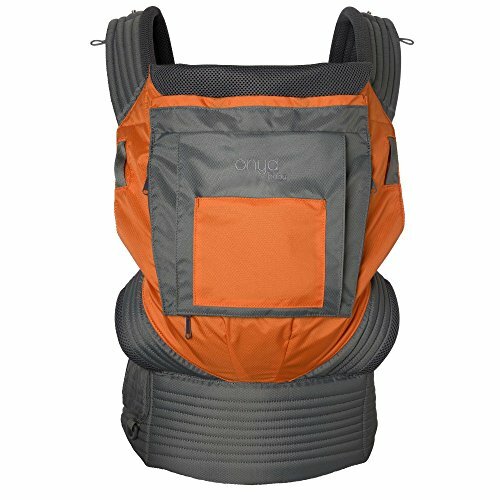 Enough pockets for even longer hikes with your baby. Collapsible canopy for sun and rain protection. Best suited for babies from age 6 months to 4 years old. Easily stands on a flat surface with a kickstand. Maximum weight capacity of 33 pounds seems low, considering the sturdy frame. Shorter dads may struggle with this carrier. 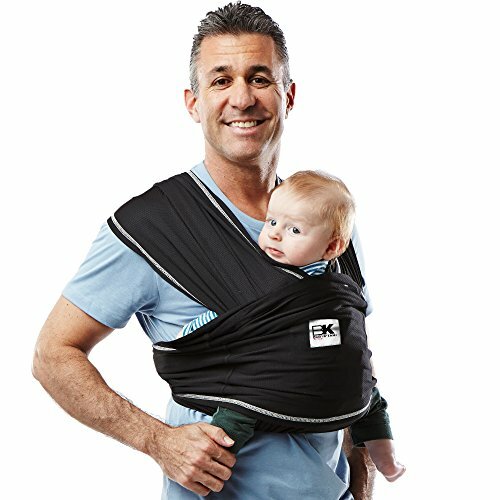 After looking at many of the most “manly” baby carriers on the market, I have decided the BabyBjorn Baby Carrier One is the best baby carrier for dads. Although wrap carriers are very popular for mommy, they’re a bit too fussy for the average dad. The BabyBjorn Baby Carrier One offers all the support a newborn needs, and adapts as your baby grows. It’s easy to set up and the varied carrying positions will ensure that baby is just as comfortable as you are, while you’re ferrying them around. Dads, it’s time to have your say. Would you use a baby carrier? Let us know what you think.